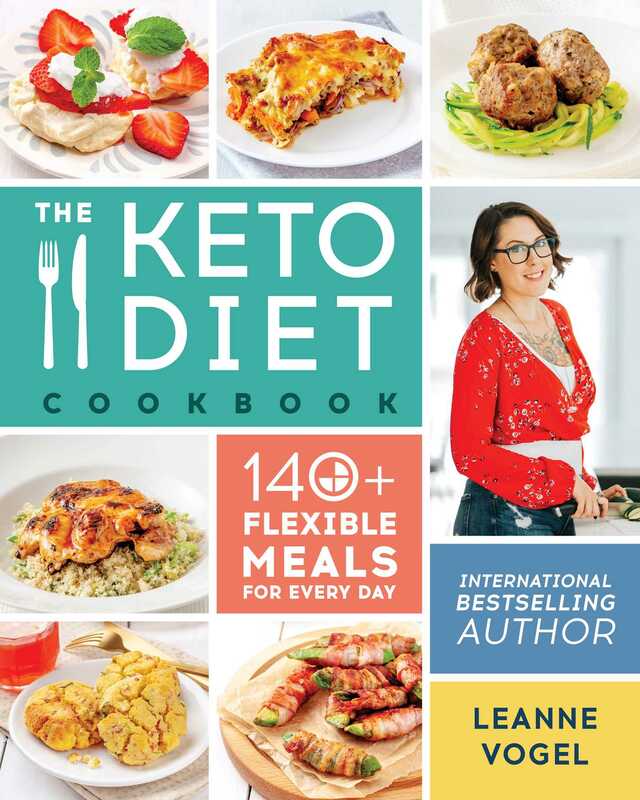 "Leanne Vogel is a highly respected, essential voice in the ketogenic community, and her latest book again shows why. The Keto Diet Cookbook offers an incredible array of easy, delicious recipes anyone can make and enjoy, but it doesn't stop there. Leanne illuminates the versatility of keto with suggested adaptations for different health and hormonal circumstances. The result? The Keto Diet Cookbook makes keto more accessible than ever to many who could benefit the most from keto's healthy potential." "The Keto Diet Cookbook is an excellent resource filled with real food and sound advice. Leanne’s passion for helping others shines as she guides you through changing your life for the better." "Leanne has an uncanny knack for making the complex simple. This book fills a huge void in the keto space by providing practical and easy-to-follow guidelines and recipes. The Keto Diet Cookbook is a must-read for ANYONE ready to take back their health or elevate to a higher level—even those who have tried keto in the past!"